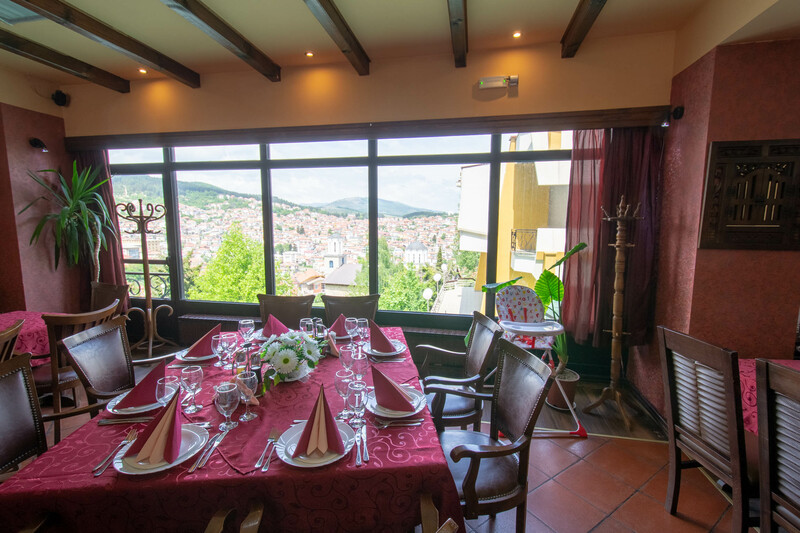 A beautiful rustic pub in the middle of the hotel, with wonderful view. Hotel Montana Palace features a wonderful hotel pub, with magical view. The interior is designed in rustic style, featuring dark wood. It also includes a fire place for winter periods. There is truly no better place to be in winter in the entire region. You little children will be happy in our children playground in a boxed area so that you can enjoy your stay. This pub is a place where you can have drinks and food most of the time. Only during periods of heavy season we limit the food service in our restaurant, but we try to do it as little as possible. 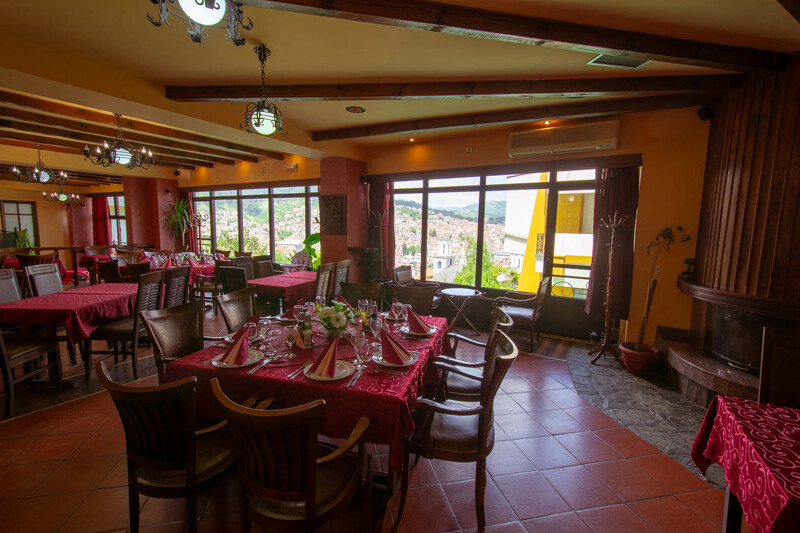 During such moments there is a clear public announcement and we reroute our guests who wish to dine in our restaurant. Work hours of the pub are 07:00 until 23:00. The closing of the pub is usually delayed during heavy season. If the groups staying in our hotel are smaller we close our restaurant and we serve the buffet breakfast, lunch and/or dinner in this pub. Our pub fits about 100 guests, depending on the seating. It is the most popular area for banquets, cocktails and other types of parties. It is the default area for karaoke as a team building exercise. 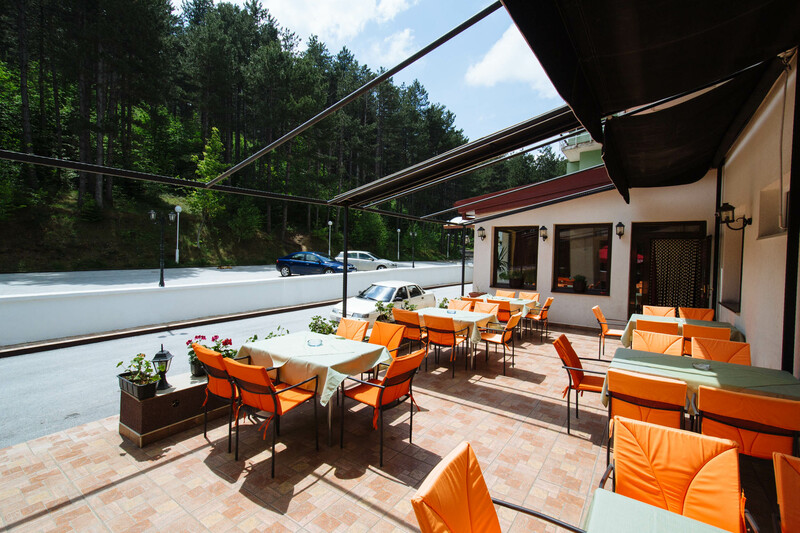 The terrace overlooking the forest is a nice addition for hot summers. 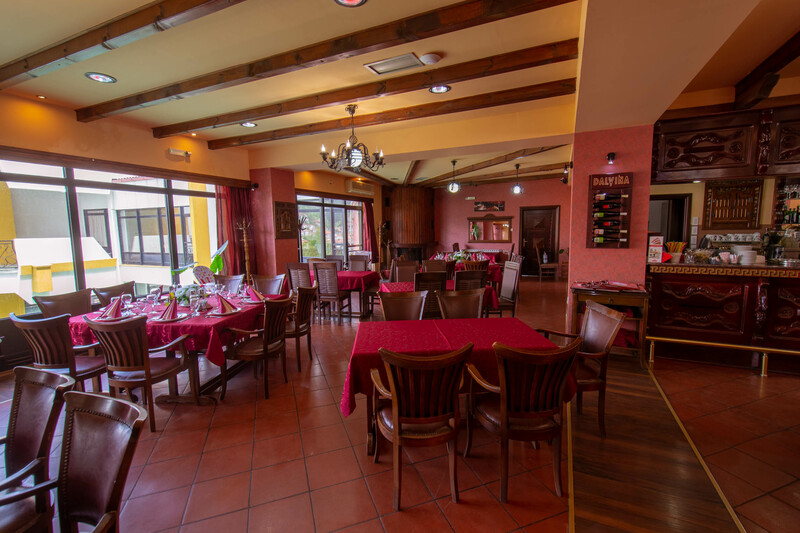 The hotel pub is very easily accessed from our lobby area, and if you come from inside the hotel you have to pass through it to reach our congress hall and the small office. Additionally you can enter the pub right from the street through it's summer terrace. 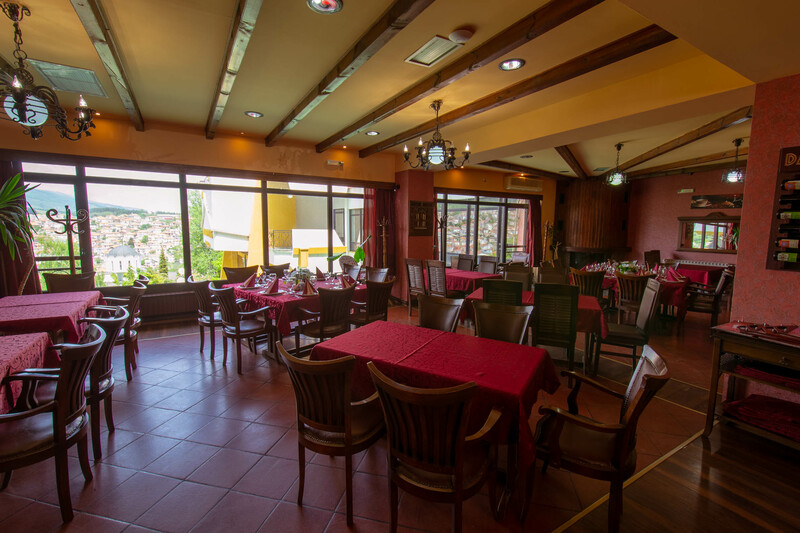 In coordination with hotel management we can make an arrangement to rent the pub for some special occasion and close it for the public. Please note that management retains the right to refuse rental if the period requested falls into high season. Through the years the pub has hosted many small events, from various types. The wonderful and the warm environment make it the perfect place. If you have a group staying in our hotel, we can organize various types of parties in the hotel pub for you. In the past we have organized karaoke, DJ parties, live music etc... We can also rent you audio and video equipment. In the past we have also helped around themed parties and special cocktails for the parties. The pub has a time limit which has to be respected. The party must end until 01:00 the next morning. We have also reorganized the pub for various presentations of food and/or other products. The table arrangement is not fixed, and with good organization we are ready to rearrange the entire area according to your needs. We can also help with setting the light, as other audio - video effects. 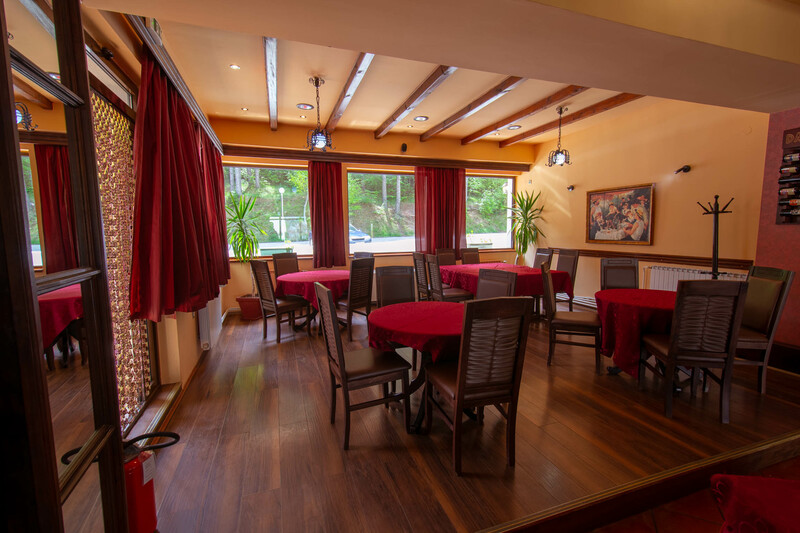 If you simply want a warm area to conduct some discussion or debate, there is no better place than our pub. We can organize the area according to your imagination and requests, and we can also help you with the audio - visual equipment needed for your event.